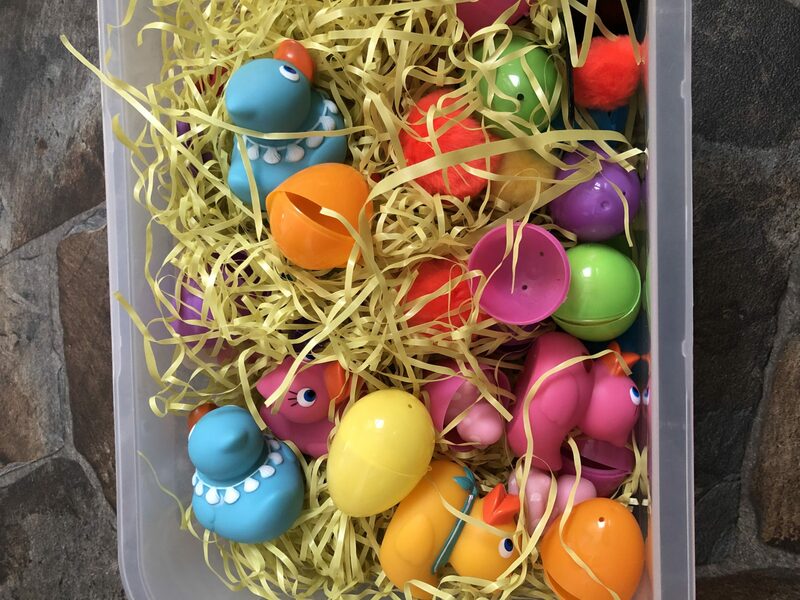 This post will be short, but I wanted to check in and share our latest sensory bin. 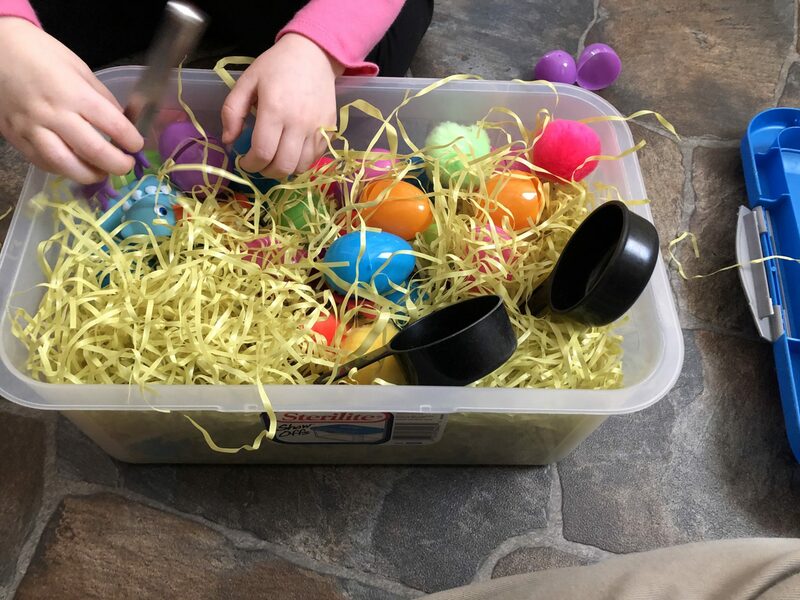 I’m not sure what to call this, so I’m going with the Easter spring sensory bin. 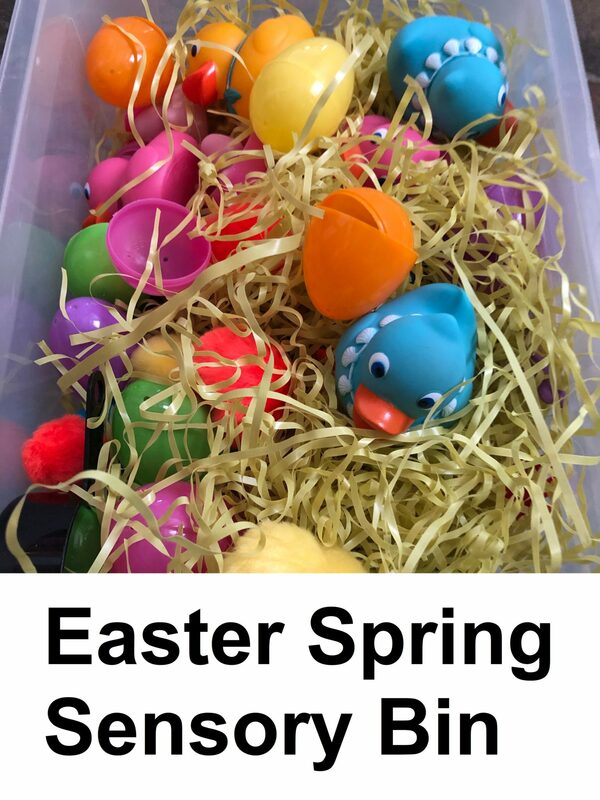 I went to the dollar store the other day and stocked up on some random spring and Easter items and here is what I came up with for this week. Rosebud mostly just played with the materials, but she hid the mini ducks in the eggs. We scooped up the eggs with the scoops. We hid items in the grass. 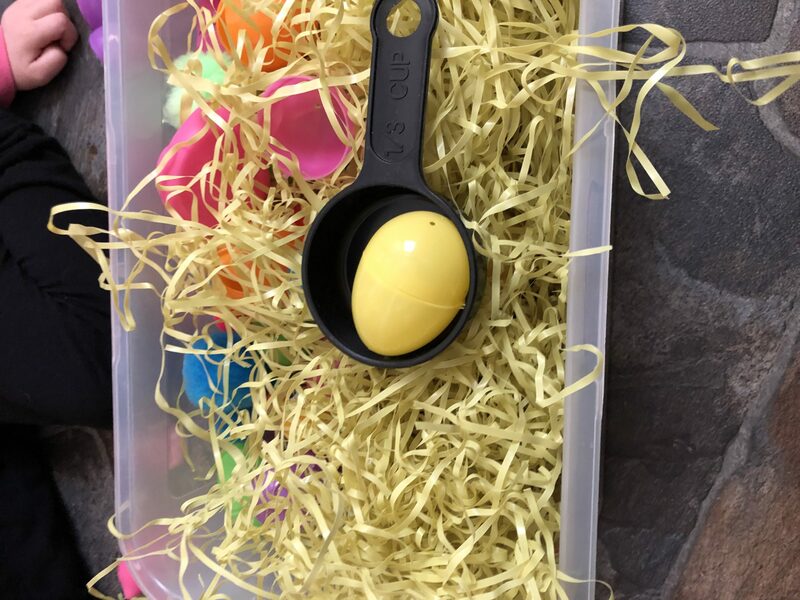 We put pompoms in the eggs. I told Rosebud to pretend they were little bunnies, but she wasn’t having it. She started making nests for the little ducks and their eggs, but decided to dump everything on the floor instead. She enjoyed picking up items with the tongs and trying to get them free from the grass. It’s a great fine motor activity. She was tired, so this was short lived tonight, but I have a feeling this one is a work in progress. We will be adding and subtracting items when necessary and I will be changing up the sensory bins more often. I have lots of ideas for this spring. 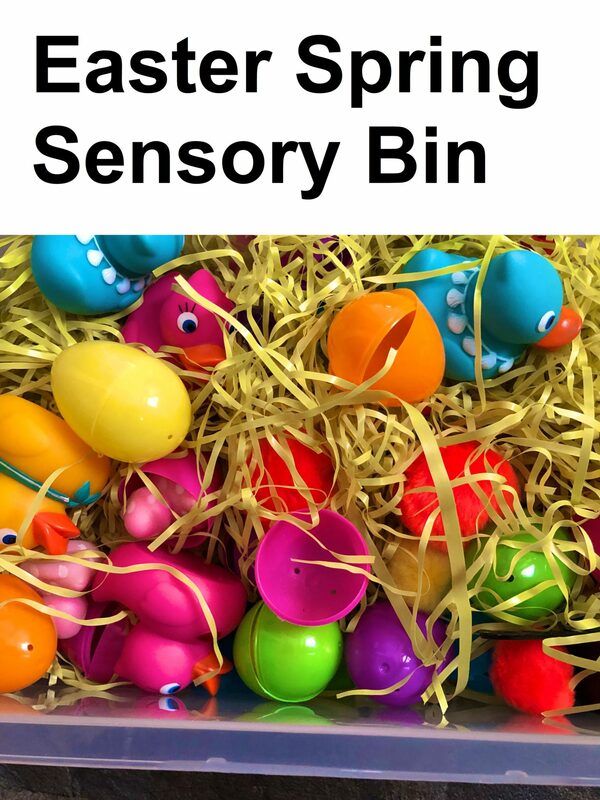 What are in your sensory bins right now? Tell me in the comments. This is so neat! I’ll be using this for my nephews. It sounds so fun! Thank you. I’m glad you found it useful for a child in your life. That’s why I post these. Hoping my readers enjoy them and will try them out. When my kiddos were young, they loved activities like this. I think that’s pretty common. I work with kids and they all like sensory bins. It’s one of the things I remember fondly from when I attended preschool over 30 years ago. Thank you for commenting.